Atimes, you may find yourself in a situation where you find it very difficult to accept or add a particular friend on facebook not because you can’t but you don’t want a friend on your friend’s list to discover that you have got that new friend. 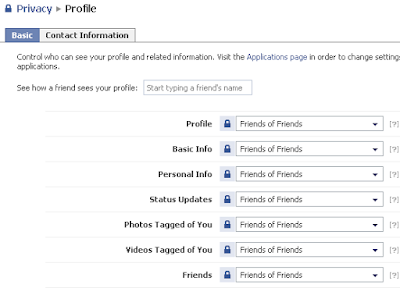 Here’s how to add a friend on facebook and also hide the facebook updates on your wall. 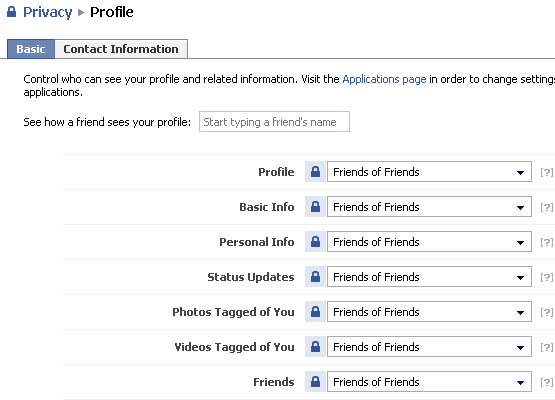 On the next page, you’ll have four choices: profile, search, newsfeed and applications. What you will edit at this page, is your profile privacy settings. 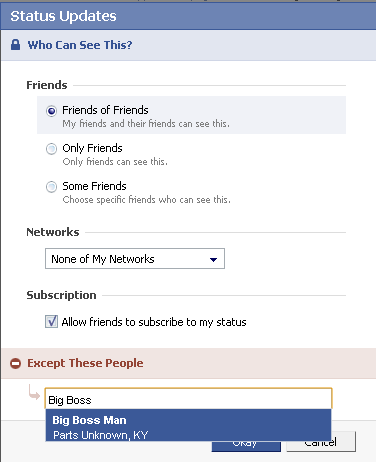 NB: BY default, everything on your profile is limited to your friends and your networks. Although, you may have joined more but the first network is usually your city of residence. From the screen shots below, you will see that I’ve limited everything on my profile to my friends and their friends. Therefore, any other person that tries to visit my profile will only see that I’ve got one but so opaque to see through my facebook updates and recent activities. Henceforth, that fortunate person on that list will not be able to see your status updates and you now have the freedom that you wanted. Facebook Marketing For Income is a time tested and proven system to show you exactly how to get the best from your Facebook business and a sure fire way to improve your knowledge to generate a larger income and greater knowledge.